Bordering Norfolk to the north, Essex to the south, Cambridgeshire to the west and with a North Sea coastline in the east, Suffolk is a county in East Anglia. It has a total population of approximately 750,000, and a wide range of housing to suit all kinds of tastes and budgets. At My Home Move Conveyancing we’ve been developing our knowledge of property markets like the one in Suffolk since 2001, enabling us to bring our clients across the county an outstanding specialist, fixed fee conveyancing service. You’ll require the services of property lawyers if you want to buy or sell property in Suffolk, in order to complete the legal work on your behalf. 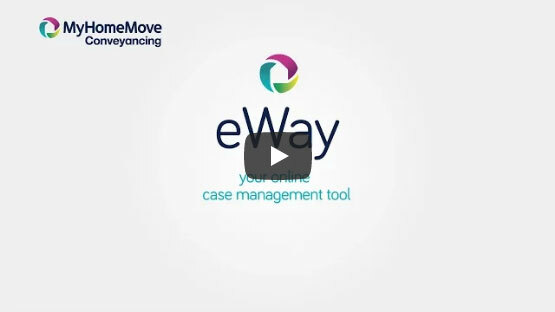 Select My Home Move Conveyancing to be your Suffolk conveyancers and make the most of our award winning customer service, innovative use of technology and knowledge of the local market. We offer a fixed fee conveyancing service with no hidden extra costs, so you can budget for exactly what you’re going to pay right from the start. If you don’t end up completing for some reason, you won’t have to pay us a thing in legal fees thanks to our ‘no completion – no fee’ policy. Choose us for a market-leading, professional and passionate service which we deliver to the highest standard. We assign a dedicated conveyancer to each of our clients, providing you with access to their expertise and a consistent point of contact. You’ll get clear, regular updates on the progress of your case, as well as online access to your account. At My Home Move Conveyancing we deliver more annual completions than any other conveyancer, because we get things right first time round. We’re proud to supply our conveyancing services in Suffolk to customers looking to be in places such as Lowestoft, Bury St Edmunds, Newmarket and county town Ipswich. The average house price in Suffolk is £230,263. During the past 12 months most property sales in the county involved detached houses, which went for an average of £355,883. Terraces fetched £190,937, with semi-detached properties going for £220,989. East Anglia is named after the Germanic Angles, who had gained control of this part of England by the fifth century. The Angles were distinguished as being either ‘north folk’ or ‘south folk’, which is where the names Norfolk and Suffolk come from. Suffolk is a largely low-lying county with lots of arable land, and offers natural attractions such as the Broads in the north and the Suffolk Coast and Heaths AONB. As it’s a mostly rural county, Suffolk doesn’t have the best transport links when it comes to things like rail and air travel. There are plenty of train stations in towns and villages across the county, but services can often be quite irregular and lengthy. There are no motorways that pass through the county either, with a network of A roads such as the A14 and A12 providing the links around different parts of the region. Some parts of Suffolk still have a three-tiered education system, although the county has been going through a transformation to the two-tier system over recent years. The majority of the county’s schools are now primary and high schools with plenty of secondary schools having their own sixth form attached. There’s a range of independent schools including the Royal Hospital School near Ipswich, while higher education is available at the University of Suffolk. All properties in Suffolk will fall within one of the following council tax bands.